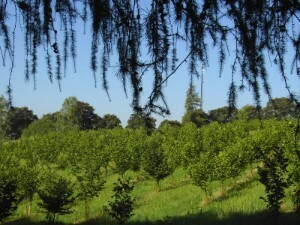 Our agricultural family business is to be found in the western part of Bavaria, the so-called Ries. 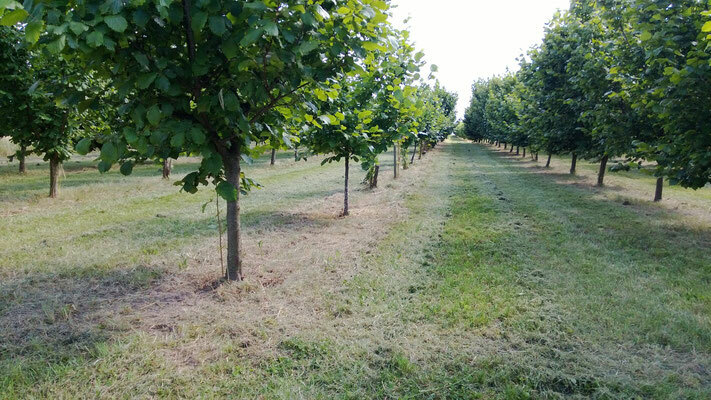 We are focused on organic farming, cultivating hazelnuts, as well as trading with high quality nut products from France, Italy and the region around black see. We have switched our farm from conventional farming to organic farming as of 01.07.2010, because we know about the importance of environmental matters – thus we are certified with the control number D-BY-006-45341-A by control institute AB Cert AG. We do think that customers should always be well-informed about where the food comes from and what kind of stuff has been used for the production of the food. To us the most important thing is high quality. Thus we can identifiy ourselves with every kind of product we offer to our clients. Therefore we installed this homepage for our customers in order to inform them well about all our goods. We do not want to produce any agricultural waste – so, we use all side products from farming, as well. Since we are highly interested in preserving our environmental ressources, we collaborate primarely with companies from our region due to short-range. Our business is a member of German Chamber of Hazelnut Grower www.haselnussanbau-verein.de. Products from pasticceria, like amaretti, tozzetti di nociole, tozzetti di marroni, torta di nocciole, different panettone and lot more specialities - directly form the manufacturer in Italy. We sell those products exclusively in Germany. All products may be bought in certified bio quality as well. Since we are connected to foreign manufacturers directly, we are able to offer high quality nut products for a good price. Our customers are: retail asking for high quality, bakery and confectionery shops as sub-contractors, and shops dealing with direct marketing. We are going to take care of supply chain issues as well like transportation, for example. Our company - Rieser Nuss is going to answer all requests regarding our products. 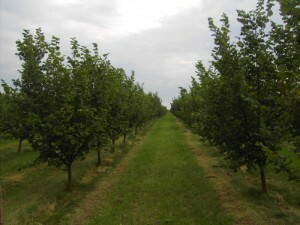 We are also glad to inform you about organic farming and about the speciality regarding organic nuts. The content of this website is prepared with the greatest possible care. The provider accepts no responsibility for correctness, completeness and actuality of the prepared content. The content of the site Rieser Nuss is used at your own risk. This website may contain connection to external links. These sites are covered by the responsibility of the individual producer. When the external links were created, foreign content was checked for any possible infringements by the provider. At that point, no infringements were identified. The provider has no possible control over current and future configuration or content of the linked sites. The creation of external links does not imply ownership of the material. Unless an indication of a legal infringement exists, it cannot be expected that the external link content will be regularly checked. Any external link found to cause a legal infringement will be immediately removed. The right on texts and photos on this website is exclusive to the copyright owner Nadine Ott, no one else may copy it. Certain extracts are included. However, in all cases German law is applicable.